As some of you may know I am vegetarian. 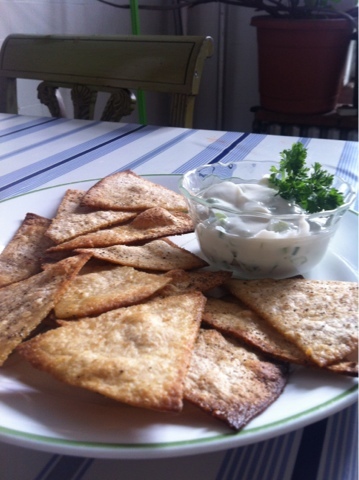 I often get people asking me for vegetarian recipes so I have decided to start a recipe section on the blog. 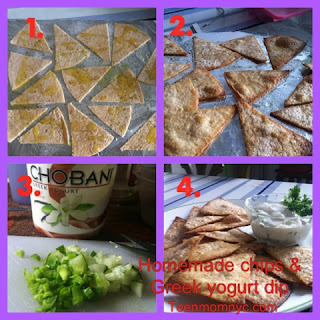 First up, Homemade Tortilla/Pita Chips with Greek Yogurt Dip. Chop cucumber and scallions into small pieces and mix with a 1/4 cup of Greek yogurt. When the chips become golden brown take out the oven and serve.